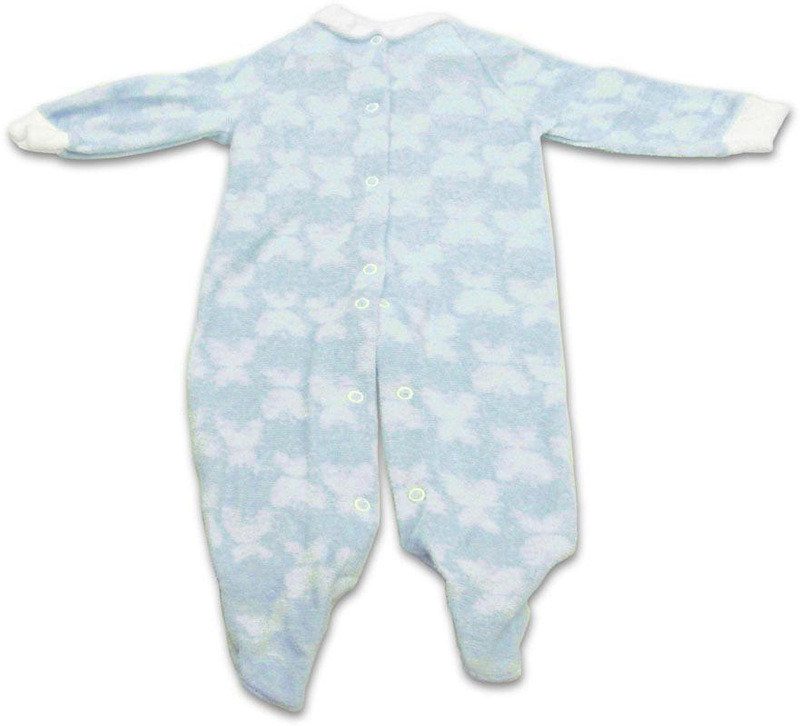 This blue sleeper with a fluffy cloud print is made of a comforting extra heavy terry fabric with shaped feet and full length snaps. This sleeper features two way stretch that stretches gently when your baby moves. Size (inches): 0.79" X 3.15" X 2.76"
This item is sized for children between 6 and 12 months or up to 20 pounds in weight.